A simple five-letter word can wreak havoc with your mind and your body. It all starts with cortisol. 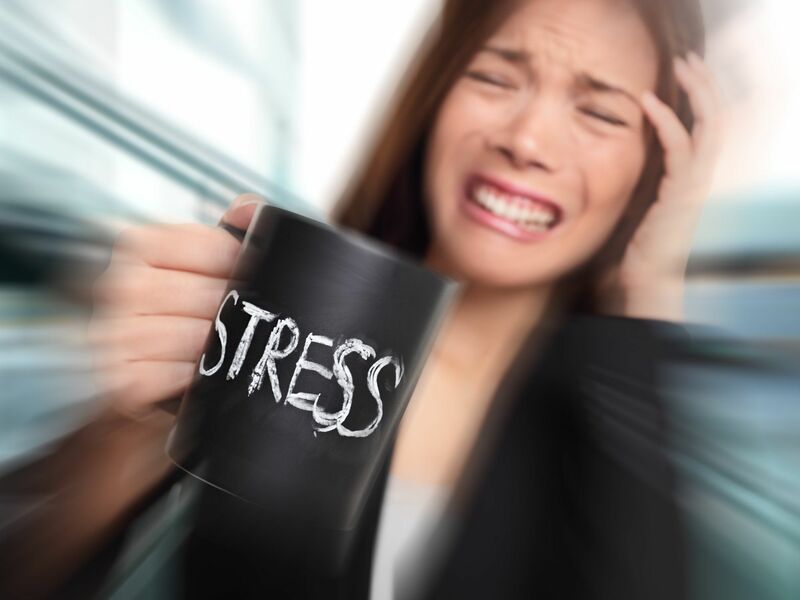 Any time someone is stressed, there is an increase in certain hormones such as cortisol. Cortisol has a profound effect on the immune system making men or women more susceptible to infections such as the common cold. Now if your immune system is up and running on all cylinders and you are exposed to the cold virus, there could be no consequences. But with high cortisol levels, things can sneak in under the radar and your body's ability to fight those nasty and annoying infections is diminished. The end result is a cold which just compounds your emotional misery and can heighten your stress. Sleep, or lack of it, is often the second cause. Stress also alters your sleep patterns and sleep is integral in maintaining proper immune system functioning. And your rising cortisol levels, aka those hormones, can interfere with our sleep patterns by making it harder to fall asleep, lower our immunity and cause us to be cranky. Sleepless nights don’t just ruin our mood; they could also damage our waistline. According to recent research, sleep deprivation can cause people to pack on extra pounds. When we are sleep deprived, our metabolism slows down to save energy. That slowdown triggers the release of cortisol, which increases our appetite. Our body thinks it needs more energy, so we feel hungry and eat. That makes food the third culprit. In addition, we have a tendency to neglect ourselves when we are stressed. We may not eat properly or work out. Sufficient sleep, proper nutrition and physical exercise are all part of our strategies to prevent infection. And without those strategies, our emotional and physical well-being are compromised. If stress strikes, how can we prevent short term or even long term health consequences? While our first reaction may be to bury our heads under the covers, drink ourselves to oblivion and eat a pint of ice cream, it is important to focus on our daily activities and keep them as normal and as healthy as possible. Need some help in moving forward?